Description Sequel to stylish arcade game with avoid mechanics. 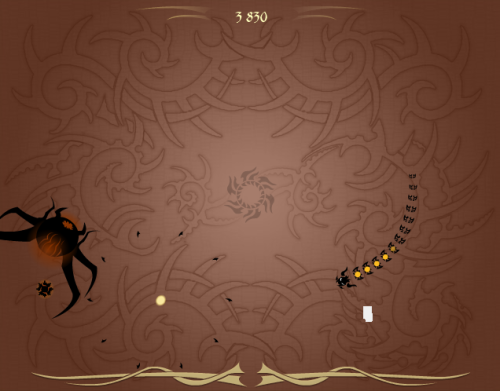 You control the spirit of the snake who wants to beat three evil demigods. The snake is controlled by mouse. Just move your mouse and the snake will follow your movement. Avoid black demons on the level and self-intersections. Collect appearing sunshine pieces to charge the portal in the center of the room and blow up all enemies on the screen. Green pieces on the snake tail indicate your life bar. Don’t loose all of the life points.